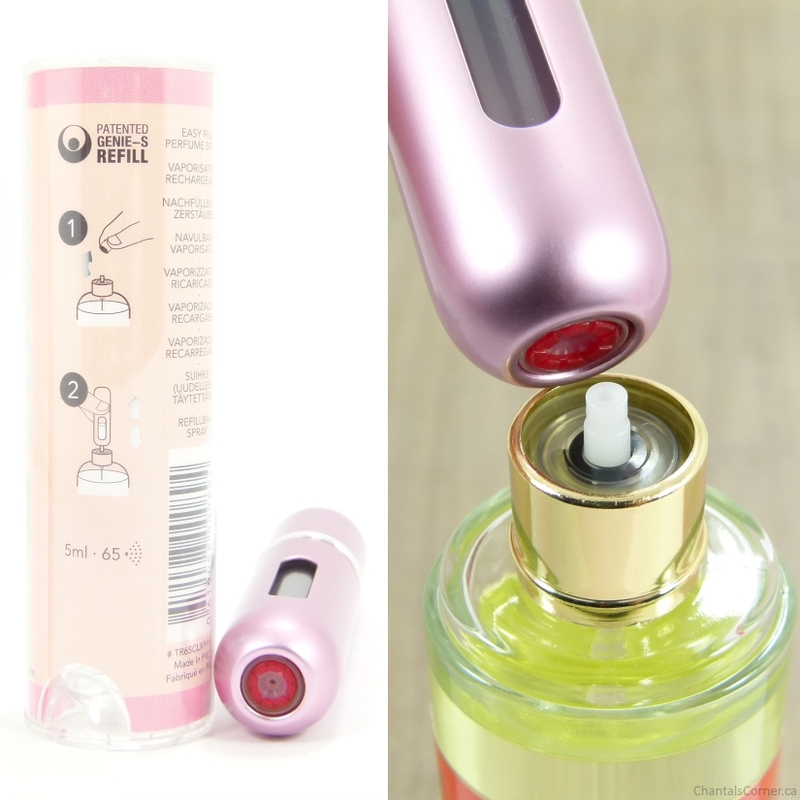 Filling up the Travalo is very easy: you remove the tip of the perfume bottle, put the Travalo on the bottle and pump. With the Milano you have to remove the inner cartridge to see how much liquid you have in it, but with the Classic HD there’s a window on the side where you can see. 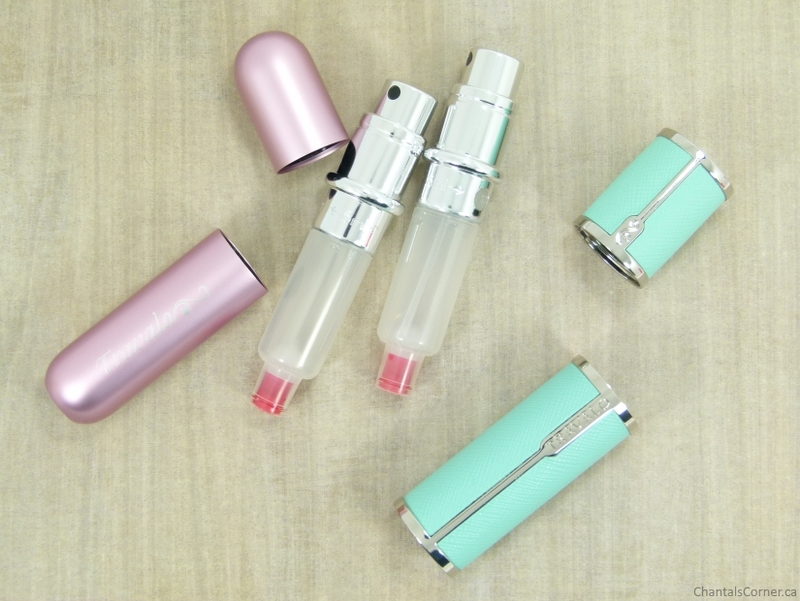 The Classic HD holds 5ml of perfume which gives you 65 sprays. It’s tiny so it fits easily into your purse, and it’s also travel safe for those of you who fly a lot! If you’re afraid that your Travalo will get scratched and/or dirty while in your purse or bag you can keep it in the carry case that it comes with. What makes the Classic HD model special? You can remove the cartridge and switch it with another one. For example, I can switch the cartridges between my Milano and Classic HD depending on which fragrance and container I want to bring with me. I know that Shoppers Drug Mart carries the Classic model for $12.99 CAD (not the Classic HD). Is the Travalo something you would use? What do you think of this model?